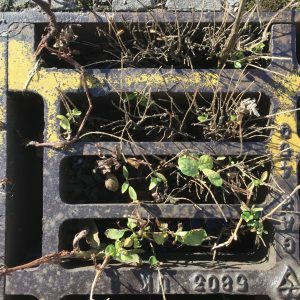 Fascinated by the micro habitat that has formed over this iron drain cover. Lots going on here that I want to explore. Several patches of weeds that I’ve been sketching have been cleared. I’m also aware that I could be asked to move on. My sketching and painting habits might have to adapt, mimic the weeds’ rapid development in order for some to take hold and grow. Toastedorange.co.uk is the website for Helen Thomas, visual artist based in West Yorkshire. This website is under construction. In the meantime please check out the social media links for updates and work in progress etc.